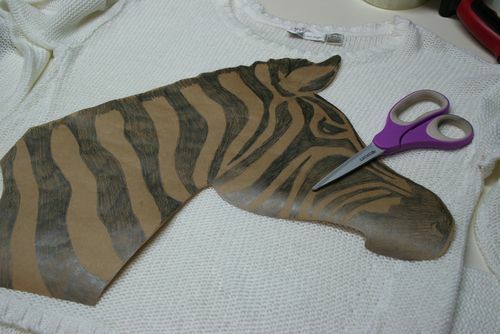 Anyhoo… I decided to DIY a zebra sweater myself. I started off by making a pattern I drew by hand onto some craft paper. I inserted some cardboard behind my sweater to make it flatter and also to protect it from paint bleeding through. 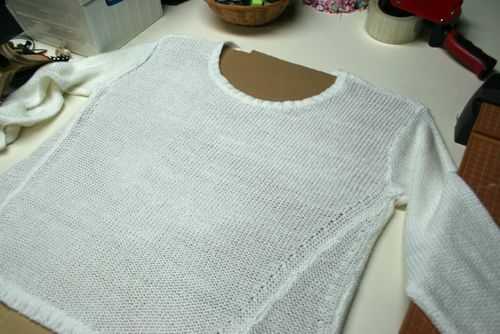 Then I cut out the pattern and trimmed it to fit on the sweater. I decided to cut around some of the pencil on the pattern so that I would be able to trace the image onto the sweater better. This can be a bit fussy. I didn't do it everywhere…just enough to trace some of the image details onto the sweater. 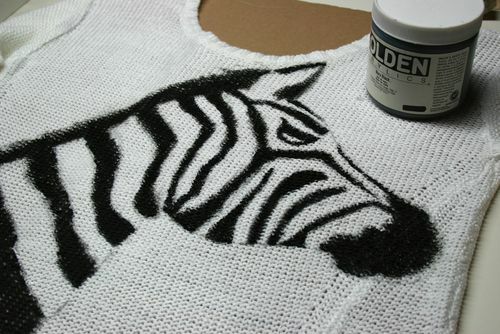 Then I pinned the cut pattern onto the sweater and traced the image with a paint pen. I just sort of slid my paint pen inbetween the slits I had cut in the pattern. After I painted in the black with acrylic paint and a brush. I went back in and filled in some areas and added a bit more detail free hand. The one thing about painting on a sweater is that because it is a knit it was a bit harder to control the edges of the image. I would recommend just going slowly and using a paint pen for the finer details rather than a brush. I found it easier to work with. You are so talented! It would never, ever even occur to me to try to DIY something like this. And you drew the template yourself? Amazing! Great sweater, great outfit. I love the teal and the red shoes were an excellent choice. How cool! I love that you drew the zebra out yourself – it turned out really great! Amazing! I can’t believe how great your DIY sweater looks. Like Adrienne, I would have never thought to paint a sweater. Amazing job! You are quite the talented artist!! Wow! You are amazing! I’m getting really excited about your DIYs. They are so fresh and fun. Thank you so much for sharing them with us! Seriously? This is incredibly awesome! And, not only the DIY sweater but also the way you assembled your entire outfit. It is perfect. Thank you for sharing this. Oh, my goodness! It look exactly the same! You are so so talented, I am amazed! Well in all honesty if I could have just bought the sweater I probably would have. You know what they say…necessity is the Mother of invention. Or as I say…when I need that in my closet I will make it if I have to! I have had a bit of practice working on fabric as years and years ago I painted jean jackets and jeans and sold them. Well that is what I try to tell my husband! ha ha! Brilliant! Love this talent. Thanks for sharing with Visible Monday! Excellent job!! That is one magnificent zebra. Good on you. Found you through Plane pretty. I absolutely love it! I didn’t know you were such a good artist! I would so wear that! Wow! So impressed with your craftiness right now. 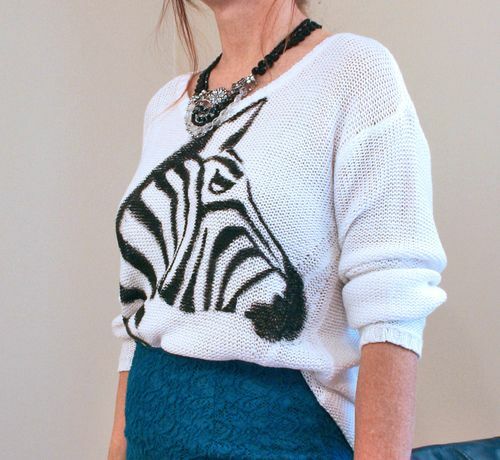 Suzanne-I really love that diy sweater! 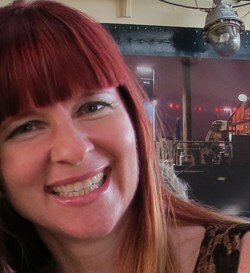 Thanks Marla…so nice of you to keep stopping by : ) I hope all is going well you. I think you were planning a move right? Hope it went smoothly. that. is. AWESOME. Love love love it sooooo much. I used to paint my clothing all the time, and haven’t done it in years. You have inspired me. Also, I’m just checking back in after my girls’ weekend – thank you so much for featuring lil old me on your blog last week – I’m so flattered!! OMG this is an amazing DIY and a total must do for us! maybe a summer project?!?!?! thanks for the post! Woweee you’re so clever, what a brilliant idea! And the jumper looks stunning on you! I love the sweater! Great tutorial! Please stop by my site at http://mamainheels.com/2013/04/08/giveaway-signature-henri-bracelet-seen-on-celebrities/ when you have some time. I’m giving away a signature bracelet seen on celebrities by Henri Lou. Wow, that sweater is really clever. 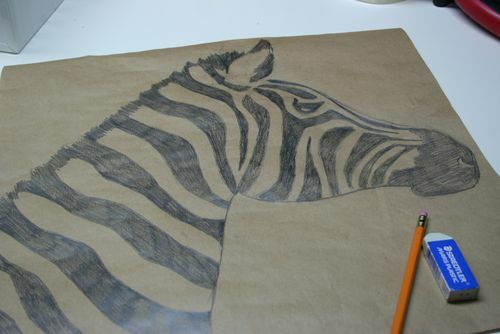 I don’t think I could draw a zebra that good. =) Your outfit is awesome!! Wow! Inspiring!!!! What a great idea, you smart, skilled girl! Thank you. Looks super on you, but don’t wear it on a busy day ’cause you won’t get anything done for all the people asking you where you got your sweater! 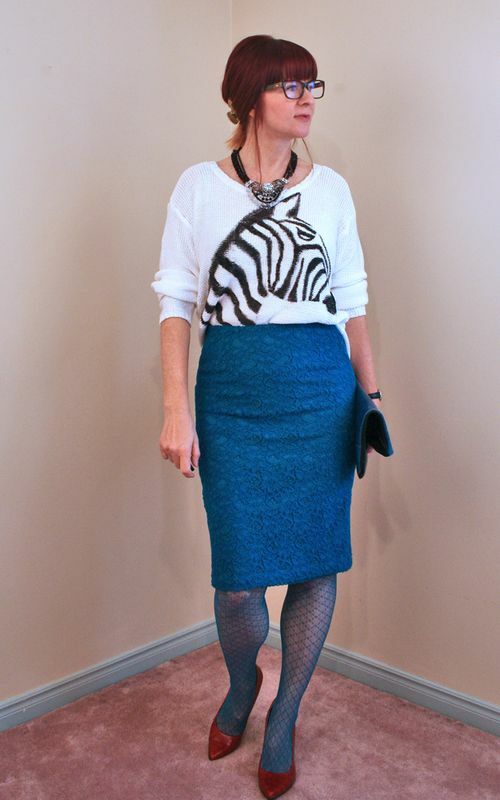 Like the necklace as well … gives the zebra a festive look! 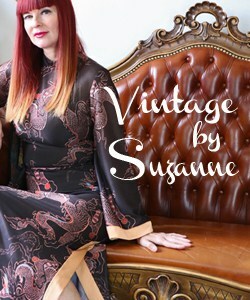 Hi Suzanne. 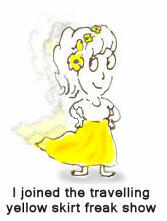 I am from the yolo blog hop. That sweater is really awesome! I would start on a project like that and it would probably end up looking like a big ol’ blob (hehehe). I love yours though! Very impressive. Thanks for stopping in Emalina : ) When you are here I kind of feel like the Queen has visited from the 1800’s . Thanks for stopping by Janise. Thanks for stopping by Cricket. I see you like paper…I design paper too. No, you didn’t! Oh my gosh, this is TOO adorable! I’m so impressed. I love it with the pencil skirt.